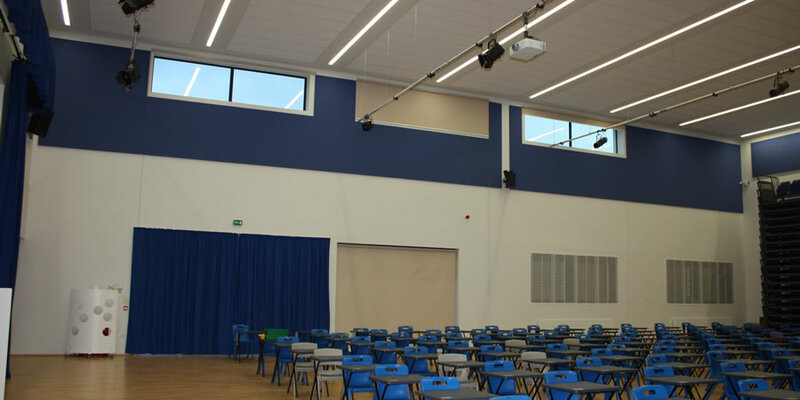 The school contacted us as they were suffering with long reverberation times in their Multi-Purpose Hall and Classrooms. 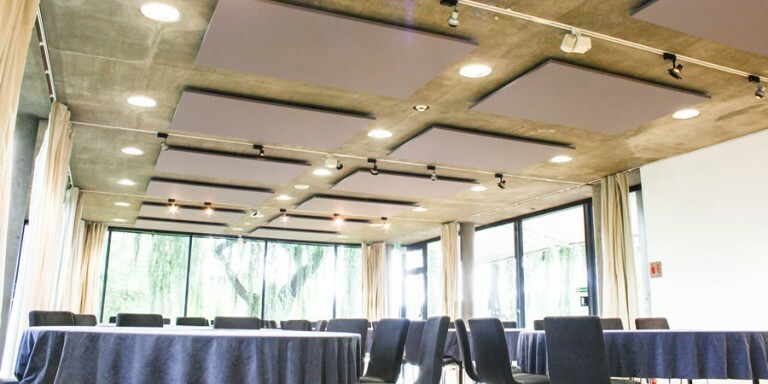 Acoustics are highly important in these areas, as speech intelligibility is severely affected by long reverberation times, and this can also put a strain on the teacher’s voice trying to be heard. 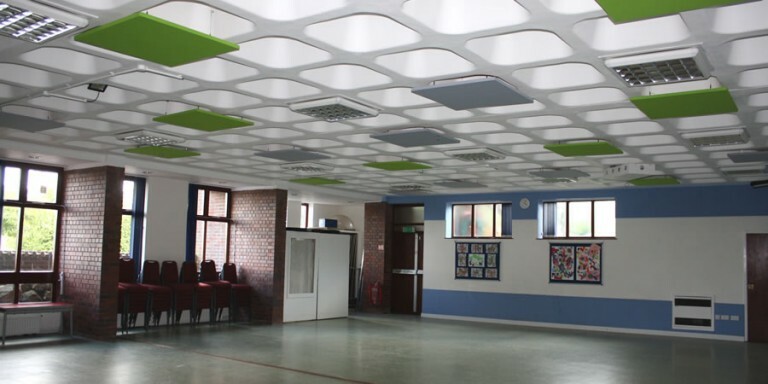 The use of our Echosorba acoustic ceiling tiles and Wallsorba Type A acoustic wall panels reduced the reverberation time in accordance with the BB93 Acoustics in Schools guidance, to make for a much better environment. 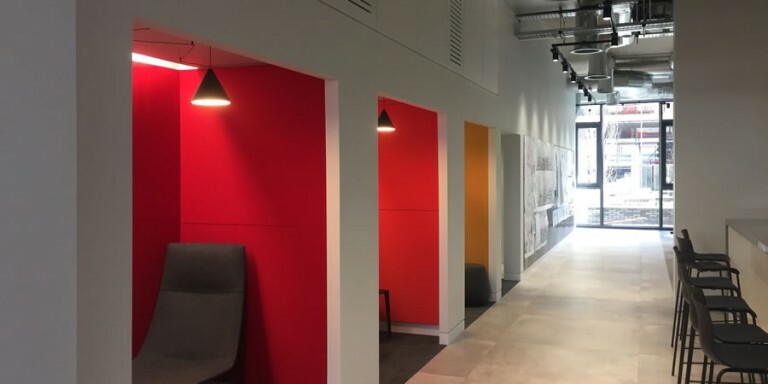 We worked alongside the architects to design the scheme for school acoustic treatment in the newly built Hammersmith Academy in London. 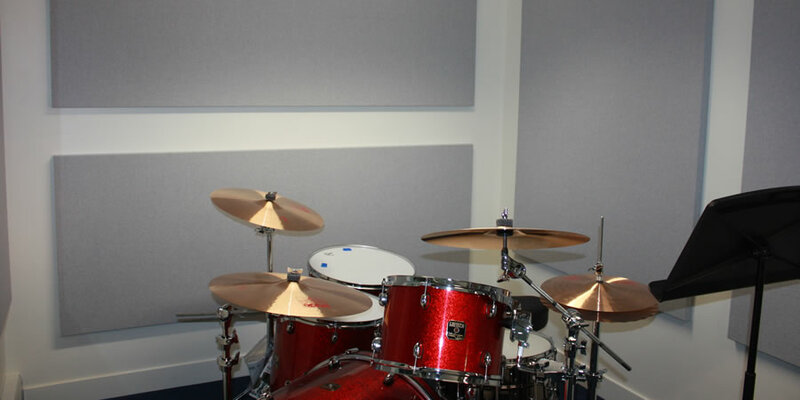 The Academy is based in a specialist four storey building which boasts state-of-the-art facilities including a large Theatre, Drama and Dance studios, Digital Editing and IT suites, Library, Fitness Suite, four-bay Sports Hall, outdoor Astroturf area, modern practical art and design, science and technology spaces, and modern classrooms and larger learning bases. 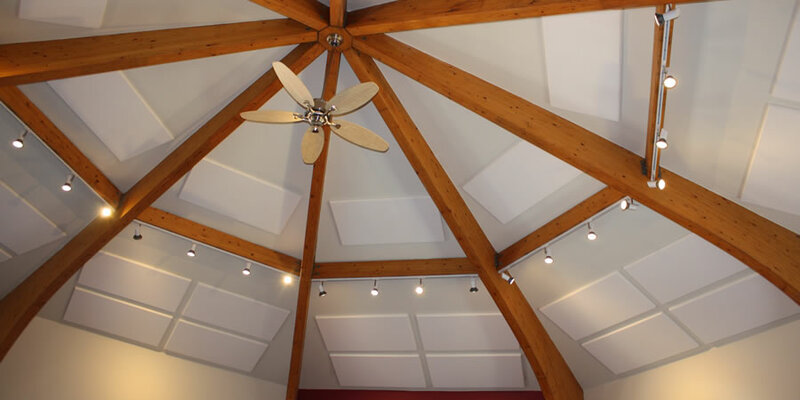 All of these spaces required acoustic treatment. 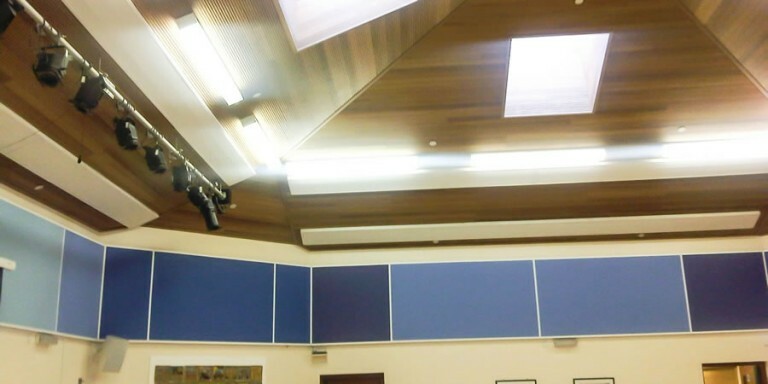 The Blue Coats School had a number of areas in the school which were causing them acoustic problems. 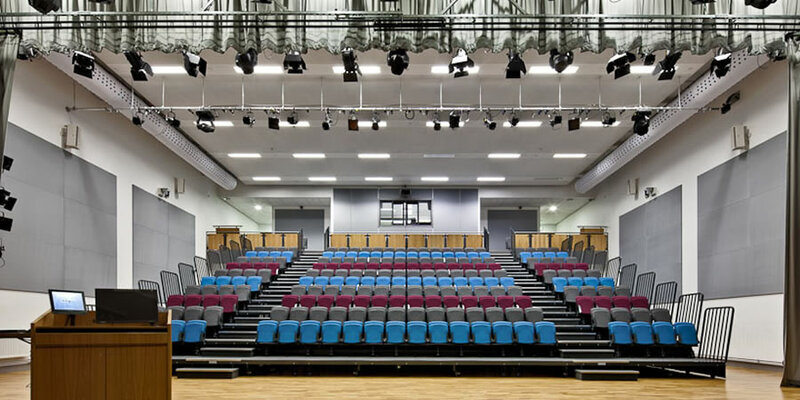 We worked alongside the school decision makers to establish he best possible acoustic panel solutions for each of these areas. 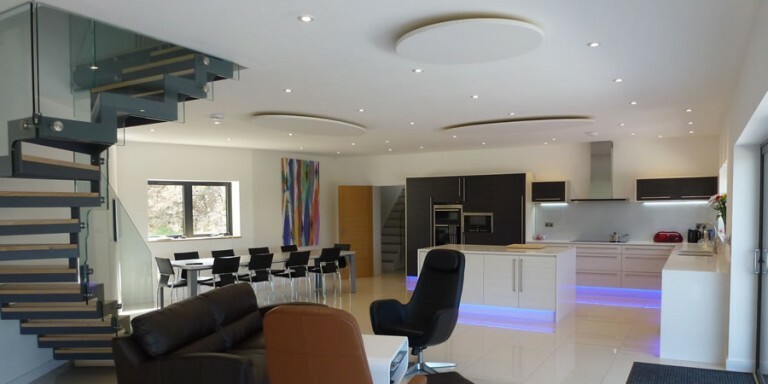 The problematic areas were the Dining Hall, Arts Classroom, and the Reception area. All of these areas were large spaces with lots of reflective surfaces around. This made it very difficult for the teachers and pupils to communicate.